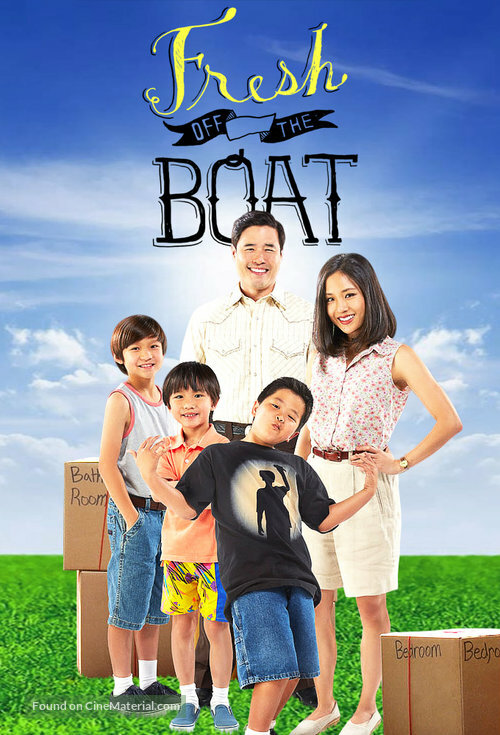 Posted on December 16, 2018 by Ava G.
Fresh Off The Boat is by far my favorite television show to watch. It is so funny and at least for me, very relatable. It also stars Constance Wu who is one of my favorite actresses. Every episode of this show is always something new but yet extremely funny and relatable in a new way. It is also a very family friendly tv show, unlike many recent shows so, it is something that everybody can watch and enjoy. This show is about a Chinese family who moves from Washington D.C’s Chinatown to Orlando where, they know nothing about the culture. The mother in the show, Jessica Huang, is like your typical Asian mother and as the show progresses, you get to see how she immerses herself in this new culture. The sons Eddie, Emery, and Evan all have extremely different personalities and each act like the different types of kids that you see growing up. There are five seasons of this show, but as it has gone on, it feels like it has lost some of the Asian culture that made it so enjoyable in the first place. It is still a really good show but, the first season is by far the best with each subsequent season seeming to progressive farther and farther away from the representation of Asian culture that was the basis of the show when it first started. Though, after having watched the new episodes that are coming out in season five, it seems that the show is starting to go back in the direction of Asian culture that made it so relatable in the first place. The best part of this entire show, is the grandmother, who only speaks Chinese but yet is the funniest character in the show. She is just so unlike any other character I have ever seen represented in media. She is so superstitious while extremely American at the same time which makes her my favorite character. Overall, this show is great and is perfect for families to watch. I love it, and would recommend anybody who just wants to watch something comedic to watch it. This entry was posted in Book Reviews and tagged chinese americans, comedy, family, fish out of water, sitcom, tv by Ava G.. Bookmark the permalink.